Barry’s story was written by the Mark Alexander back in December 2010. It has since been updated and re-published several times. The dates, times and people are fictional but the story is based on real life events. It’s a modern update of the classic “A Widow’s story”, this time written as a cautionary tale for landlords and their families. Barry is 53 years old and married to Sharon. They have three teenage children; twin girls aged 15 and a 13 year old son. Barry worked as a self employed salesman in the plant hire business. Sharon had a part time secretarial job in a local school. Barry and Sharon purchased their first investment property in 1996. As property values have risen they have continuously remortgaged and used a proportion of the equity released as deposits to purchase additional rental properties. They also saved a proportion of the equity released for a rainy day. To accelerate the growth of their portfolio Barry and Sharon raised extra cash for deposits by remortgaging their home. The profits from Barry’s plant hire business covered the family’s commitments comfortably. They had accumulated a portfolio of 23 properties with a combined valuation of £1,650,000, against which they had mortgages of £1,400,000. The portfolio produces rental income of £87,000 per annum. Their rainy day fund amounted to just over £64,000. By having all of the above in place you might be forgiven for thinking that they had set themselves up with a very safe future. On Sunday 21st December Barry had a bad day. He was on the way home that evening having just been out to fix a tenants leaking shower tray when the traffic on the M6 came to a grinding halt. Barry managed to stop his car, avoiding the lorry in front of him, but the car behind him ploughed into the back of him, wedging his car under the back of the lorry. The emergency services managed to free Barry from the wreck and his only damage was shock, whiplash and major bruising to his legs. However, two days later Barry collapsed whilst out shopping for last minute Christmas presents. He was rushed to hospital where it was discovered that a blood clot in Barry’s leg had passed to his brain. Barry had suffered a major stroke. He lost his speech and most of the use of one side of his body. The family were in tatters. Sharon had to give up work to care for him. Up until having a stroke Barry had managed the property portfolio and taken care of most of the maintenance himself. Could Sharon care for her husband, her family and the management and maintenance of the property portfolio too? They considered putting the properties on the market but soon realised that after deducting selling costs and CGT there wouldn’t be much money left over. They would also lose their income and they would be leaving their tenants in a difficult predicament too. Sharon has had to employ a lettings agent to manage the portfolio. Since then it has cost the family an average circa £3,000 a month to pay for ongoing maintenance and management. Fortunately there has been some good news, at least financially. First, low interest rates have meant that Barry and Sharon’s mortgages have got much cheaper than when they started their property rental business. Many of their mortgages have reverted to tracker products due to their fixed rates coming to an end. They are focussing on Barry’s recovery. What will happen when interest rates go back up again though? 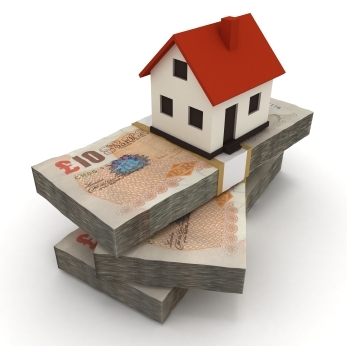 How will the restrictions on finance cost relief for individual landlords affect them? The real saviour for the family has been insurance. Fortunately, Barry and Sharon were astute enough to insure against these eventualities. They took out life assurance policies that pay out a regular monthly income right up to Barry’s 65th birthday. These policies were written on the basis that they also pay out in the event of a critical illness. The family are therefore confident that these provisions will see them through these troubled times and out the other side. They will then revert to plan A, which was to live off surplus rental income over and above the mortgage payments on their portfolio or to sell the properties and live off their gains. What insurance provisions have you made for your family? How are you investing the windfall of increased cashflow that record low interest rates have produced for your family? Have you made similar provisions to Barry and Sharon? If you haven’t it may not be too late, we want to help. If you have already taken advice and put insurances into place we would like to introduce you to one of our recommended advisers to review your policies and ensure they are competitive. Most important of all, to ensure that the right person gets the right money at the right time. What is the minimum amount of landlords life insurance would you need to buy to enable your loved ones to refinance and maintain cashflow at current levels? Based upon the above, this is the minimum amount of life insurance you would need to enable your partner and/or loved ones to pay off a sufficient chunk of your debts and refinance to 50% LTV. 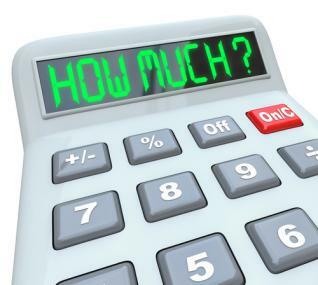 To get a quote to insure your life for this amount please click NEXT. Would you like us to re-quote to see whether we can get you more cover for the same premium or a better policy? Are your existing life insurance policies written into trust to ensure they do not increase the value of your estate for IHT purposes? Please enter a number from 18 to 75. Back in September 2013 I wrote an about an HMO investment opportunity which could be of interest to people wanting a relatively low risk, low hassle investment so far as property goes. It was a sponsored article and every enquiry raised funds to help support the running costs of Property118. Interest levels were reported to be very high and a sufficient numbers of enquirers went on to purchase these investment to prompt the company to ask us to re-run the article. You should, of course, do your own due diligence before committing to making a purchase though as we do not take any responsibility for any purchase decisions you make. I’ve used the same PR creative for the deal below where you can request a PDF document containing a lot more details. Please note that the PDF document will usually be sent to the email address you provide within two working days although we are not in control of this process. I have been posting on numerous forums about the introduction of equity loans into the UK buy to let mortgage market, a common question is the tax treatment. 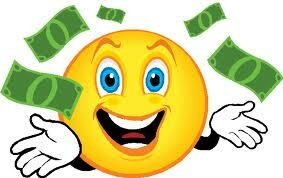 Equity loans do not attract interest in the normal way, there are no regular monthly payments. One UK lender, funded by USA equity house JC Flower & Co. (a leading financial services investment company with funds in excess of £5billion) has entered the UK market and others may follow. Their return on investment is earned when the loan term expires or or sale or refinance of the property, whichever is sooner. Their return is capital plus a share in capital appreciation equal to double their investment. For example, if they provide top up finance of 10% of a property value their return with be 20% of the increased capital value plus their investment when the funding is redeemed. As you may know, I was previously a former commercial finance broker. When I was practising I was renowned for digging into complex funding, tax and legal structures to explore opportunities and threats which others may never have considered. 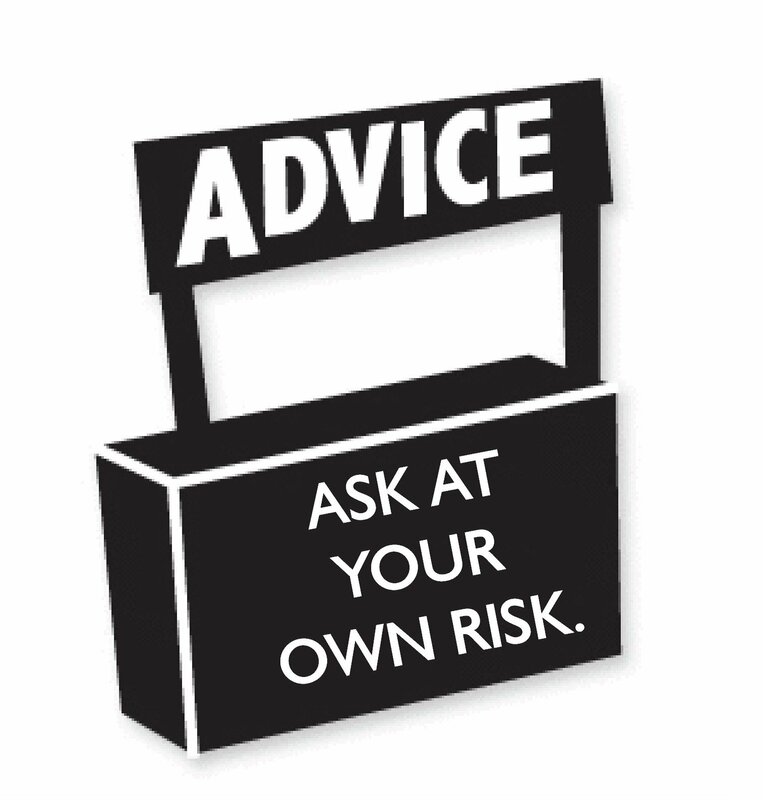 Note to all – I no longer provide advice and this post must not be treated as advice. The tax treatment of the redemption of BTL equity loans will be very interesting. Let’s use this example. Equity loans can sit over and above traditional interest bearing mortgages but for the sake of simplicity I have based the following example on equity funding only. Now does the £40,000 profit on the equity loan to the lender reduce the owners capital gain to £60,000 or is the owners gain still treated as £100,000? So will profits made by equity lenders need to be used to offset rental profits? If so there could be a substantial paper loss created in the year of redemption. Unused losses may be rolled forward, assuming losses are made, but such losses are only offsettable against future rental profits. No problem, in fact potentially very advantageous, IF you continue to make rental profits going forward. However, if this was your only property you may be stuffed by having to pay CGT on the full £100,000 of gain and not being able to utilise the carry forward losses. 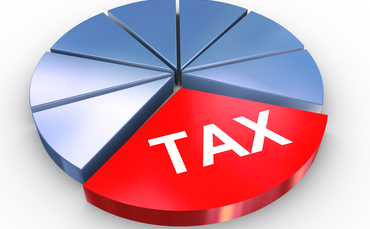 Note that rental losses can not be used to reduce other taxable income. What I would suggest to all considering equity loans is that they should plan for the worst case tax scenario and hope for the best case tax scenario. In other words, make decisions based on the worst case tax scenario and if that works then fine. Obviously there are many other aspects of the deal to consider too which is why I am an advocate of taking professional advice as opposed to taking a short sighted approach and simply jumping into deals unadvised just to save initial fees. If you are a portfolio landlord who makes good rental profits then treating the lenders return as interest could be extremely tax advantageous if the tax regime remains as it is today. This is because income tax rates are greater than capital gains tax rates for higher rate tax payers. Therefore, for landlords who will continue to make rental profits, post redemption of their equity loans, this is particularly attractive in my opinion. At worst, if HMRC decide to treat the lenders returns as capital gains, landlords will pay a lower CGT bill and not be able to offset interest. For a landlords with no ongoing rental profits post redemption of an equity loan, having the lenders return treated an interest charge is highly unlikely to be attractive whereas having the returns treated as capital gains will be far better for them. If, of course, your equity loan is secured against your private home then no CGT is payable on sale anyway. Tax is not the only consideration. I have listed 11 good reasons for considering the product and 9 downsides in my main post about equity loans. That’s not to say that everybody should think equity loans are the best thing since sliced bread just because my list of pro’s and cons is 11 vs 9, it doesn’t work that way. The reasons for NOT doing something can be very different to reasons FOR doing something, they are not necessarily like for like considerations. For example, I also prefer a strategy of high gearing combined with high liquidity over a low gearing strategy because that’s what suits me and my attitude to risk. It does not mean that people who prefer a different strategy are either wrong or right, it just proves we are all different, hence we have other preferences such as careers, holidays, cars, films, food and where we live. For further information and discussion about equity loans please CLICK HERE. Provision for regular investment into rental properties needs a well considered BuytoLet strategy. A sensible Rainy Day fund is essential and prudent investors will factor this in when purchasing their rental investment and adopt an on-going approach to property upgrades. This is very much in keeping with Mark’s advise in the Basic fundamentals of a buy to let property investment strategy. Standards in the BuytoLet market have improved and tenants are less willing to accept sub standard and unloved properties paying a higher rent for well presented and well located properties. Specification of the property is important and landlords need to consider regular upgrade and maintenance works at the very least between tenancies and every three years. The Landlords Calculator designed for Property118 readers is very easy to use and can help you with your own BuytoLet strategy. You don’t need to download any extra software whatsoever. It allows you to analyse returns and other important numbers relating to any residential investment property deal with ease. If you are already a Property118 Member but can’t see our calculator input form below it is because you are not logged in. Please do so by scrolling to the top of this page, the login button is top right in orange text. If you would like to become a member please CLICK HERE. This Broadcast was meant to be last Wednesday but is instead being run today between 12pm-1pm. Paul Shamplina, Founder of Landlord Action will be taking to the airwaves on BBC4’s You and Yours show, to highlight the shocking risk to landlords of the latest money making strategy to sweep the property industry, “Rent to Rent”. It’s a simple concept: Rent a house, then sub-let the rooms to sub-tenants and make as much profit as possible. This is a mushrooming phenomenon which has seen hoards of “experts” writing blogs, books and seminars on how to get started and even running courses costing up to £500 on how to bring in tens of thousands of pounds with virtually no out-lay. One such “guru” includes Daniel Burton who claimed he earned £35,000 a month from the get-rich-quick scheme. Last week, The Guardian revealed he has gone missing, leaving tenants and landlords across London hundreds of pounds out of pocket. The idea behind how it works involves a tenant (or “renter”) offering a landlord a guaranteed amount of rent for a set period, say three years. “This amount is likely to be less than its actual market value but the landlord, in theory, is happy because the property is let and he does not need to worry about lost rent, void periods or tenant issues for the foreseeable future” says Paul Shamplina. The tenant agrees to look after the property, take care of maintenance issues and in some cases even carry out a refurbishment on the property. Then, the tenant sub-lets as many rooms as possible to willing sub-tenants who are happy to rent a converted lounge or dining room and live in a house shared with six other strangers. The “renter” then creams a profit on the difference between the rent he is paying the owner/landlord and the rent coming in from the sub-tenants as a result of the multi-let. 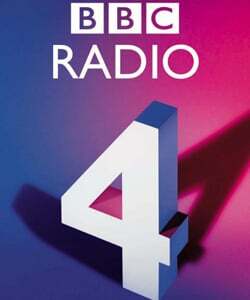 To hear Paul’s views on rent to rent, tune in to You and Yours on Radio 4 from 12pm on Wednesday 16th October 2013. In the pre-recorded interview Paul Shamplina mentions various tips for property owners considering Rent to Rent, one of which is not to accept Assured Shorthold Tenancy Agreement as these are not the appropriate contracts. Recently, Landlord Action announced they are now an alternative business structure regulated by The Law Society and have joined forces with The Law Department, headed by solicitor Justin Selig whose name you will recognise if you are a party to the Class Action groups fighting the West Brom Mortgage Company and Bank of Irelands decisions to increase the margins on their tracker mortgage products. Having recognised a need for a professionally drafted commercial lease template to be readily available to Rent to Rent companies and property owners Property118 teamed up with Justin Selig to produce one. The reason the contract templates are so competitively priced is due to economies of scale, the real cost of drafting a contract of this nature is thousands. Sufficient pre-orders of the contract template via Property118 made it viable to produce the documents and to share costs to arrive at this incredibly low figure. If you are a property owner and you are being offered a “Guaranteed Rent” deal which allows your tenant to sub-let then this lease template is also for you as it protects your interests. If your tenant wants permission to sublet and you’re being offered a Company Letting Agreement or an Assured Shorthold Tenancy, that’s the wrong contract and should sound warning bells. 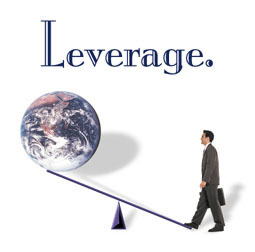 ….. what is not so widely reported – mainly because the shrewd investors who use the following strategy don’t normally shout about it – is the ‘cross charging’ 100% capital raising process which allows for the full purchase price, refurbishment costs and subsequent buy to let remortgage (if keeping the property) all to be arranged in a transparent and legal process, often all with the same lender. Our client required a deal they couldn’t get via their usual high street lender. He was looking to buy a property, renovate and then take out a BTL based on its new and improved value. Crucially, and the main issue that nearly caused him to lose this opportunity, is that he was also limited in the cash required to secure this deal, although he had a good level of equity in his main residence. Our client ideally needed to borrow 100% of the purchase price and 100% of the renovation costs using the equity in his home as additional security. Once renovated he wanted a quick solution in changing the bridging loan into a BTL. Second, the shortfall of £37.5k towards the purchase and the additional £40k needed for the renovation works (£77,500 in total) was raised by adding in the additional security via a 2nd charge on the main residence. He was actually offered a 2nd charge bridge on his residential property up to 70% LTV, which meant he could, if he wanted to, raise up to £120k from this property (70% = £420k, his existing mortgage is £300k), far more than enough to make up the required difference (£77,500) to cover the full 100% of the purchase and 100% of the renovation costs. The valuer was booked to attend the property within 72 hours. In the meantime our client was quick in supplying the shopping list of requirements required and forunately instructed a solicitor who understood the speed required for a bridging loan. The deal was completed within a few weeks enabling our client to ‘do up’ his new property, increasing the value to £300k. Three months later our client was able to change the bridging loan product to the lenders BTL product, releasing 75% of its new improved value. This released £225,000, enough to pay off the bridging loan and put some money back into his cash flow. This is the intelligent, new improved, ‘no money down’ style of investing and refurbishing which is helping many savvy investors to add property to their portfolio without laying out any of their own liquid cash. Instead, they are letting their own existing bricks and mortar do that for them. We are now very closely associated with a leading and award winning bridging loan / short term lending packager who specialise in these cases. We have a very simple enquiry / AIP process and as highlighted above, cases can be processed very quickly indeed. In this case, after 12 weeks of work, our client ended up with another property in his portfolio and also approximately £20k in cash (after fees etc) as well. Could this be of interest to you? Please enter a number from 0 to 999. Can you help me? 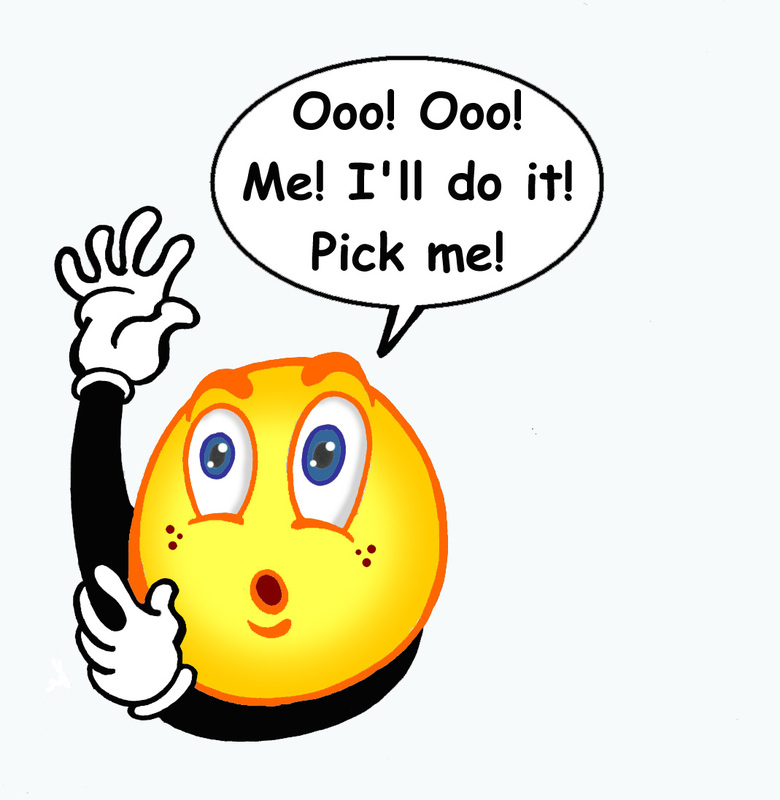 Who would you consider to be the official spokesperson/body for the lettings industry? I’ve only been in this industry for 12 months, so I’m still relatively a novice compared to most! But I would have thought ARLA? Yes? Anyone else? I’m still fuming after only just catching up with the Watchdog / Rogue Traders episode from earlier in the week, when the last comment to screen was some ‘Letting agents, don’t act illegally’ – or words to that effect…so now 4.5m viewers think that most of the lettings agents are criminals! Yes I know it makes good TV, but where was the industry spokesperson saying that 99.5% of the industry aren’t like that? If this was a business that had been featured, there would have been crisis PR in action immediately. Take Johnson & Johnson or EE who were also covered on that programme – there was an immediate response (albeit a bit wishy washy in some cases), but at least there was a response and not complete radio-silence. There wasn’t a single reference to this episode on the ARLA website this week (apologies if I’ve missed it and it was there). So when did the PRS get such a bad rap? I read a thread somewhere that it was around a year ago that it started getting really bad in the media. I know we aren’t going to stop bad stories being publicised – nor should we, it’s a free country & a media-driven culture after all – but the industry needs to at least stand up for itself a bit more. I know that idiot company weren’t ARLA, they probably weren’t even regulated by TPO, but there needs to be an industry spokesman/body who stands up for the whole industry. Who is it? I would really appreciate some input having read though the “Advice” articles here. I currently own my own home outright without a mortgage. I was thinking of remortgaging to release some equity which combined with a small pot of cash I have available could be used as deposits on two small BTL properties (in the region of £140-£150k each). I have actually had a mortgage agreed in principle by my bank in order to do this, being totally upfront about what I am remortgaging for. The LTV is low, circa 35% and they have no problem with it. My question relates specifically to whether to have this remortgage aspect on a capital repayment mortgage or interest only? I was intending to have the remortgage element on capital repayment and any BTL mortgages on interest only (BTL mortgages would have LTV of close to 60% in order to take advantage of good rates I have been offered, again by my bank). Having now read your article I am now doubting this approach is correct, I was wondering that your thoughts were? My goal if that is helpful is focussed on longer term, pension planning planning. So many buy to let borrowers get frustrated because BM Solutions will only allow them to have 3 buy to let mortgages. However, now they have removed their minimum income requirements, this criteria is very easy to overcome for many borrowers. The answer is to own the properties in your individual names. That way a couple can have three mortgages with BM Solutions each. Hey presto, that’s six mortgages with BM Solutions. 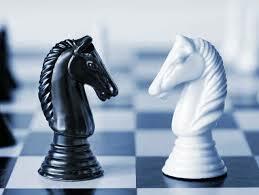 The are also many other advantages of owning the properties in individual as opposed to joint names. For details of this see my Landlord Tax Strategy. If you would like to discuss further borrowing strategies why not have a chat with my business Partner, Neil Patterson. His contact details are npatterson@property118.com or you can call him on 01603 489 118. I’m looking to do my first time buy to let by releasing c. £25,000 -£37,000 equity from my main residence and the remaining £75,000 to £113,000 on a buy-to-let mortgage to buy a 2 bed property costing c. £120,000 to £150,000. Mark suggests always having 20% cash in the bank but that would mean delaying my purchase by 2 years. Looking for advice on whether to get going now or keep saving?